Bithorn: Hello! Our history started in 1997. 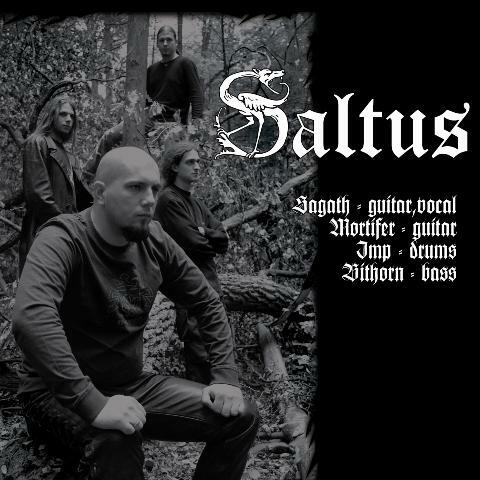 Wojnar and me founded the band Dark Forest and a few weeks later we changed name to Saltus. I’m the only one who played in the first Saltus’ team. Since last five years Saltus has got a stable crew, I’m a basist now, before I played guitars. Our first guitarist is Scream, he is a vocal too. Mortifer plays the guitar and Imp is a drummer. We recorded two full lenght albums and two mini-albums. All of our discography you can see on our official myspace profile. Bithorn: Yes, we just like playing concerts very much, but stricte blackmetal or pagan metal gigs are not so frequently organised in Poland. That is why we look for possibility to play gigs and when we find – we just make use of it. We are not the concert organisators, we are the guests on these gigs. From time to time we play special pagan concerts or fests of course, like one in Lithuania and we are playing one in Austria on „Northern Light Fest” and in Slovakia on „Perunica Fest”. So, as I told, we would like to play a lot and we are still looking for all opportunites. Your lyrics contain a quite bit of heathen atmosphere. I’m a heathen and I like it, but tell me about the reaction of „ordinary” metal fans? A lot of fans don’t know heathenism as a way of life and they just listen to the music, what about them? Bithorn: In my opinion metal fans listen to the other genres too, they are interested in another things too. I know there are a group of fans, who laugh at us because they don’t like heathen’s lyrics or don’t understand them - but we haven’t had a negative reactions on our gigs. I think that more than 90% metal fans are „aware” listeners, they always know why they come to concerts. they just listen to our music on the gigs. But if somebody comes accidently, I hope they will be our fan or the next time they won’t go on to our next concert. But you had got a lot of problems with heathen lyrics in the past. Some of quasi-political organisations accused you of having nazi sympathies, they told in public that you are NS. Please comment on it. I understand you, we fight in RadioWid’s shows against connections between nazi ideology and heathenism. Let’s come back to the music, you have just relased a very good split album with Abusiveness, called „Nowa Era”. This material has a very positive reviews. Is this an announcement of your new album? Bithorn: Thanx for your respect! I think this split is not the announcement of our new album but our music will be developing in that direction, I think. We are working on a new material, we have got a few new tracks, some of them are in progress at the moment. These will be a balance of „Triumf” CD and the latest split’s sounds. We will see when we go to studio... We have got a lot of ideas and power to work, but we will be finishing next year, I think. You mentioned that you would be playing some concerts abroad. Tell us more about it, Polish metal bands don’t play so often gigs abroad. I know that the most famous bands like Vader or Behemoth are exceptions, tell us how you managed to book concerts there? Bithorn: We had got some propositions from Slovakia, Ukraine and Lithuania, that’s all. This year we are going to Slovakia, we are going to play some gigs in Czech Republic too, but they haven’t been confirmed yet. We are playing in Austria too. We have too small promotion, our label is not so big, we are still looking for the bigger editor, who could distribute our music as a licence, more widely. The biggest our „manager” is our official myspace profile. The contacts that we found on it helped us to book concerts in Ukraine and in Lithuania. As I told before, we would like to play abroad too, but we do realise that the costs and the distance may cause some problems. Nevertheless, we are still looking for such possibilities. Bithorn: I listen to the very different kinds of music. I like folk and bands like Hedningarna, I just feel it. 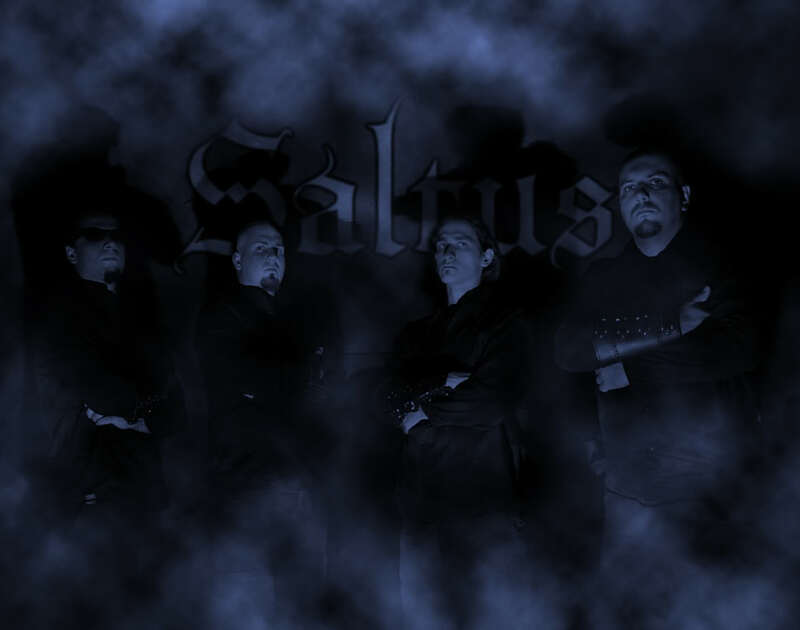 Then a lot of old progressive rock-metal, heavymetal, deathmetal, blackmetal.... My musical horizons are very broad, every Saltus’ member has its own inspirations. Imp and Scream like progressive music and a mixture of it you can hear in Saltus’ sounds. Folk is not to be heard in our music so much, but it is in our souls and from time to time it just appears. OK, let’s get back to your lyrics, tell me especially about these pagan and slavic heathen ones. Are you inspired by mythology, old tales, local folklore and ethnographic materials or do you just write the lyrics from the heart and soul? Bithorn: Rather from heart, but a lot of literature’s data sometimes occur. I write my lyrics consciously and this is a flow from my heart. I write about ancient battles, old legends and old slavic beliefs. My lyrics are not to be taken literally, but our pagan ideas are still alive and Saltus will be a heathen band as long as I’m its member ;) I write lyrics with Scream and sometimes we are supported by Wojnar. Wojnar started to write heathen lyrics when he was a member of Saltus. He is still helping us when we lack of inspiration. You told me about Saltus’ myspace profile, we are living in Internet Era now, where else we can catch you in wwworld? Bithorn: We have Facebook profile and last.fm profile, the second is not official but we have contact to its founder, but our main profile is on myspace: www.myspace.com/officialsaltus and on Facebook. Thanx a lot for interview! Bithorn: Thank you for supporting Saltus !!! Slava !! !